The complete stock structure of North Sea sandeel is unclear, and although several reproductively isolated sub-populations have been identified, some exchange appears to take place between neighbouring populations in early life stages. From 2010 onwards ICES has presented advice for the North Sea sandeel for each of seven distinct assessment/management units, reflecting the best current evaluation of the stock structure and also considering fishing banks, based on the assumption that this will enable improved management avoiding local depletion (ICES, 2010a). This profile represents the Viking and Bergen Bank area – Sandeel Area 5r (known as Sandeel Area 5 prior to 2017 (ICES 2017) . Scientific advice is based on ICES' precautionary approach (ICES 2017) . Managers have followed scientific advice; set TACS for EU vessels in both EU and Norweigian waters remain at zero through 2017. Harvesters have complied with fishery limits and closures. There is insufficient information to assess current stock status or trends (ICES 2017) . Indices from acoustic surveys conducted in the Viking Bank during 2009-2016 indicate very low abundance (ICES 2016) . Press regional advisory bodies, national fisheries administrations and the European Commission to develop a multi-species, ecosystem-based management plan for North Sea pelagic fisheries, including a harvest control rule(s). Ensure these recommendations are represented to the EU Pelagic Advisory Council (https://www.pelagic-ac.org/) directly or through one of the General Assembly members. Engage as a stakeholder in all MSC certifications for this stock and support the MSC Client groups to ensure all conditions attached to the Certifications are fully addressed. Information for stock assessment is very limited. Acoustic surveys have been conducted on the Viking Bank since 2005 ( (ICES 2017) , but the biological sampling is poor; and commercial catch data is not available as there have been no landings since 2004 (ICES 2016) . While the data is insufficient to reliably assess stock status or trends, the acoustic surveys indicate a small stock size and very low abundance. The advice since 2011, based on data-limited analysis and ICES' precautionary approach, has recommended zero catch (ICES 2017) . No reference points are defined (ICES 2017) . No assessment of the stock status can be performed due to insufficient data (ICES 2017) . Low estimated sandeel abundance from acoustic surveys in 2007-2010 led Norway to close fisheries on Viking Bank (ICES, 2012). That survey still shows low biomass and the fishery is closed (ICES 2017) . Landings were exceptionally large in 1995, at 151,000 tonnes, but have generally been under 10,000 tonnes and, with the exception of 2007, no landings have been taken since 2004 (ICES, 2012). Landings in the Norwegian zone of the North Sea fell by 95% around 2005, with the collapse of the fishery (NMFCA, 2010). Because of low stock size, the fishery has been closed since 2011 and catches have remained zero (ICES 2017) . Managers have followed scientific advice, and no directed fishery is allowed (ICES 2017) . Separate EU quotas were defined for the first time in 2011 for each of the seven North Sea sandeel management areas. The final 2011 through 2016 TACs for EU waters of the Viking and Bergen Bank area (SA 5) were set at zero (European Commission 2011; European Commission 2012; European Commission 2012; European Commission 2013; European Commission 2013; European Commission 2014; European Commission 2014; European Commission 2015; European Commission 2016; European Commission 2016). . Consistent with the scientific advice, the zero limit remains applicable through 2017, barring further regulatory ammendments (European Commission 2017; European Commission n.d.) . Norway’s fishery on the Viking Bank has also been closed since 2009, due to low estimated abundance (ICES 2017) ; and correspondingly, TACs for EU vessels fishing in the Norweigian waters of ICES area IV have consistantly been set at zero. No explicit recovery plan is in place (ICES 2017) . Since 2010, ICES has provided advice for North Sea sandeel (Division 3.a and Subarea 4), for 7 individual areas (ICES 2010) ; a separate quota (of 0 tonnes) for Sandeel Area 5 (now Sandeel Area 5R) was set for the first time in 2011 (ICES 2017) . Compliance has been strong - no catches in Sandeel Area 5 / 5R since the individual quota. Prior to the individual quotas, between 2005 and 2010, catches of sandeel in the greater North Sea area exceeded the TAC twice, in 2007 and 2010, by 30% and 10% accordingly. However, in Sandeel Area 5, catches for all years during the same period were zero, except for in 2007 when landings were 4,240 tonnes (ICES 2016) . In the North Sea ecosystem, sandeel is an important prey species for a variety of predators, including fish, marine mammals and seabirds. Fishing on sandeel has been found to affect some surface feeding bird species, especially kittiwake (Rissa tridactyla) (Birdlife International 2016) : “Least Concern”) and sandwich tern (Sterna sandvicensis (Birdlife International 2016) : “Least Concern”) (ICES 2017) . Fish and marine mammals’ populations are assumed to be less vulnerable to local sandeel depletion (ICES 2016) . There is reportedly little bycatch of protected species. More detailed information on the fishery's species interactions and other ecosystem aspects can be found in ICES' 2017 Stock Annex for sandeel in area SA 5R (ICES 2016) . Sandeel catches include several Ammodytoidei species but consist largely of Ammodytes marinus. The levels of bycatch in the sandeel fishery are considered to be very low, including those of species for which a TAC has been set (ICES 2016) , and in the past have been estimated at between 1 and 3% in the Norwegian fishery (MFCA, 2010b). There is reportedly little bycatch of protected species (ICES 2016) . As of January 2015 a landings and reporting obligation is in effect preventing the discarding of bycatch in this (and other) EU fisheries (EU, 2013). 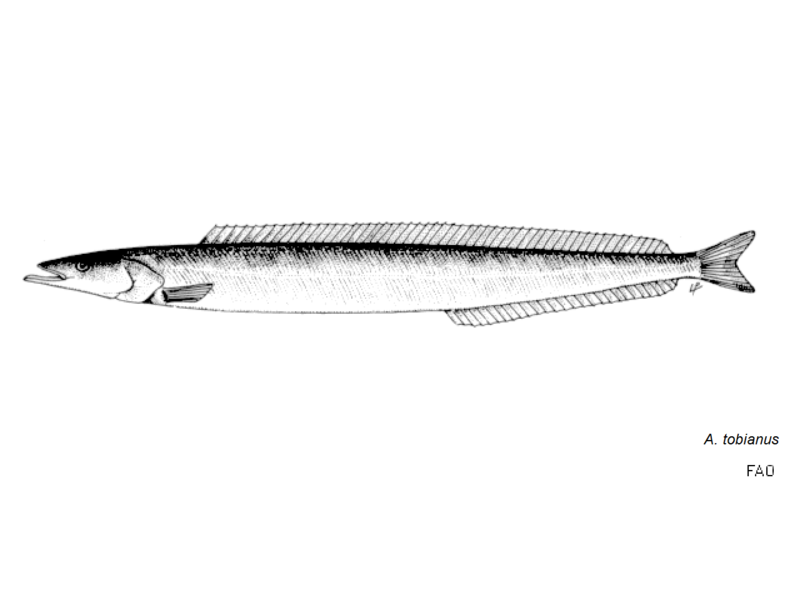 Sandeels are the principal species targeted by the small fish bottom trawl fishery in which small meshed-gear is used (i.e. trawls with mesh sizes < 16 mm) (ICES, 2007b,c, 2008a). Bottom trawling can have significant impacts on benthic communities and habitats and this has been shown to have occurred effectively in several parts of the North Sea in the past (Hiddink et al., 2006; Callaway et al., 2007). Several coastal areas and zones of known deep-water coral communities in the North Sea have been closed to fishing, in order to protect both benthic communities/habitats and juvenile demersal fish (OSPAR, 2009). Closures of depleted areas and for certain periods are used as a management measure on a local scale, and the entire Norwegian EEZ was closed in 2009 (ICES, 2011b). In addition, the Patch bank has been closed to fishing for sandeel and other fish since 2002 (ICES, 2011b). In 2003, a joint ministerial meeting of the Helsinki and OSPAR commission (JMM), agreed to establish a Network of Marine Protected Areas (MPA) in the Northeast Atlantic (OSPAR Commission, 2011), two of which are within SA 5 (OSPAR, 2010). There is inadequate information to evaluate stock status or trends with any certainty; and as such, there are no defined biological reference points or relevant management objectives for the stock. However, for fisheries in these circumstances, ICES bases catch advice on a precautionary approach. Given indications of low abundance, ICES has since 2005 advised zero catch or a closed fishery for the SA 5R stock unit. As calculated for 2010 data. The Catch is 0.00 ('000 t). The Set TAC is 0.377 ('000 t) . The underlying Catch/Set TAC for this index is 0.00%. TACs were previously set on a larger scale and were first set for this area as a separate management unit in 2011 (see "Manager's Decisions" portion under the Analysis summary below). Stock status is unknown, and no reference points have been defined; scores #4 and 5 therefore cannot be determined, and score #1 has been assigned a qualitative score. The fishery has been closed since 2006. Compliance with the closure was found to be strong. While catch and survey data are insufficient to assess the state of the stock, Norwegian acoustic surveys from 2007-2010 indicated a very low abundance of sandeel (ICES 2017) .